Strolling with Aman A voyage to infinity. So it had been one and a half year since I landed in Odisha, The soul of Incredible India and I hadn’t explored any of Odisha’s great landscapes except a short trip to Udaygiri and Khandagiri, so to consume the wanderlust generated over three semesters, We (I and my 9 other friends) decided to had a detour from our monotonous college life and visit Chilika Lake, Asia’s largest brackish water lagoon. We boarded a passenger train from Khurda Road Junction to Balugaon and reached there in early morning. We picked up few snacks to eat and hired a motor boat for approximately ₹2500 and started our voyage into the heart of the lake. The water was skyline-silver and window clear, the only sound piercing in shimmering emptiness of surrounding space was of the boat’s engine and cacophony of our group of 10 people. It was astounding to see the callow reflection of sun rays glimmering in our eyes. The lake has two mini islands floating on its surface and like any other tourist attraction of Odisha, both islands are acquired by religious trusts to offer devotion to sacred local goddesses thus the many tourists there were families on their pilgrimage. The another major attraction on the lake is the Bird Sanctuary where tons of flamingos arrive every season to blossom the Indian wildlife heritage. Unfortunately, we visited the sanctuary in a little off season so there weren’t as many birds as we expected. Also our boatman told about the recent decline in the numbers of birds visiting each year due to different climate change factors. 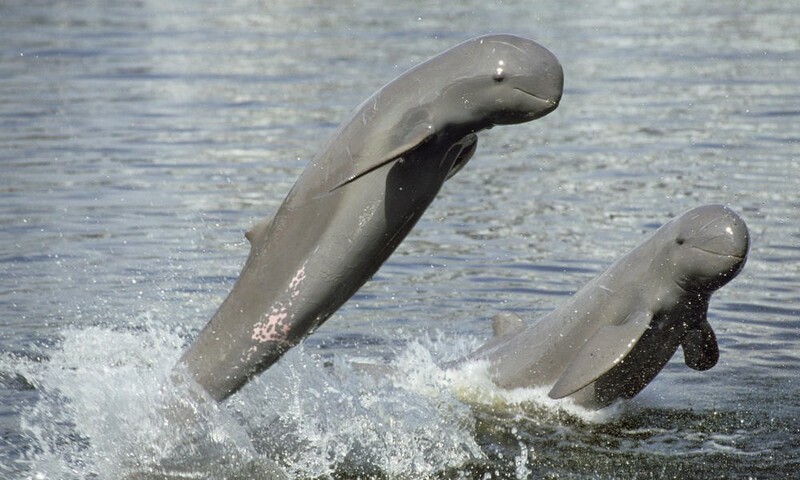 The main attraction of the Chilika Lake is undoubtedly the presence of Irrawaddy Dolphin in its brackish water. Sadly there are only 134 dolphins left in the lake spanning an area of 1165km² as per 2017 census so you must have an extraordinary fortune to catch a glimpse of this endangered species of fish. 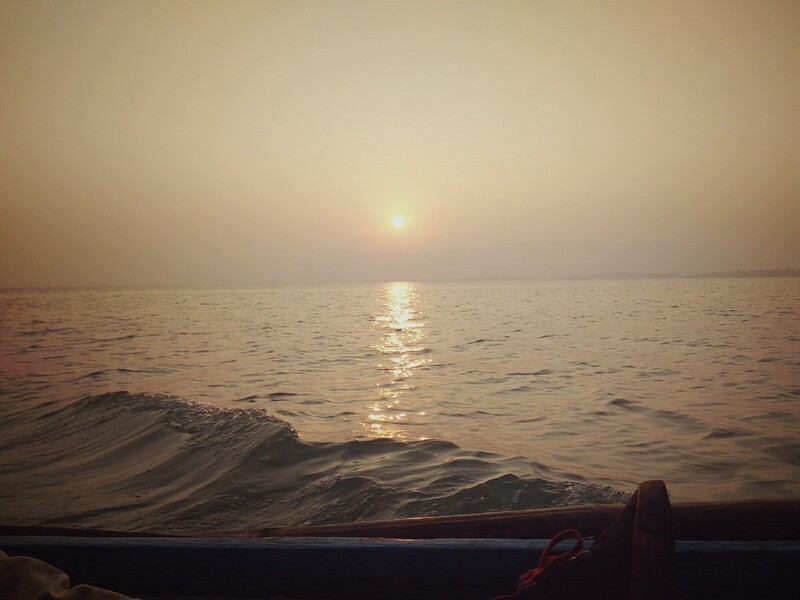 By the time we finished our voyage and started returning back to the coast, the sun was also ready to submerge in the distant water and it was the best possible farewell moment to bid us adieu from a wonderful day by the mother nature. 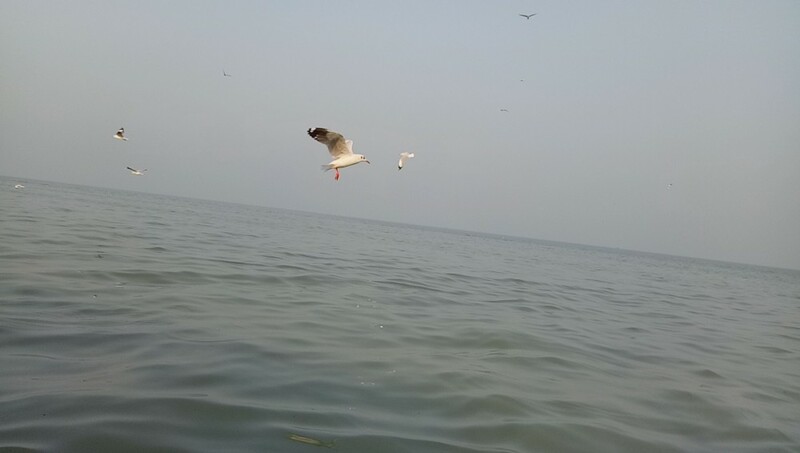 If you have any query about planning a trip from Bhubaneswar to Chilika Lake, feel free to ping me.